Stevenson went on to send Colvin the first part of The Amateur Emigrant in early December 1879 and, notwithstanding their animated criticism of the work, both he and Henley ‘proceeded vigorously in their efforts to find a publisher for it’ . The text was accepted a few months later, first by Donald Macleod for Good Words magazine and later Kegan Paul, although it was ultimately published by neither. 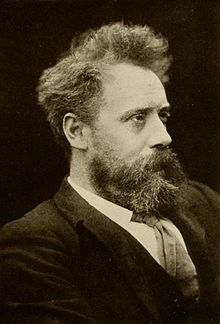 William Ernest Henley became a key agent in Stevenson’s transatlantic network. 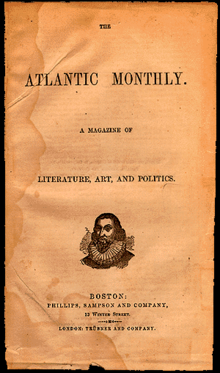 The Atlantic Monthly was founded in 1857 as a literary and cultural commentary magazine. 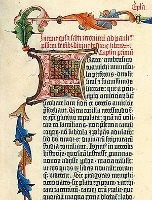 Hamerton wrote a letter of recommendation to Roberts Brothers of Boston who did indeed become Stevenson’s first American publishers, publishing Travels with a Donkey, An Inland Voyage, Treasure Island, Silverado Squatters and Prince Otto for the US market. Cornhill Magazine published ‘Yoshida Torajiro’ in March 1880 and ‘Henry David Thoreau: His Character and Opinions’ in June. ‘The Story of a Lie’ was published in New Quarterly Magazine in October 1879. Roger G. Swearingen, The Prose Writings of Robert Louis Stevenson: A Guide (London: Macmillan, 1980), p. 43.